The fourth installment in the action game series, featuring the titular comic book superhero. The game was developed by Rocksteady, the studio which had previously worked on Batman: Arkham Asylum and Batman: Arkham City. The plot depicts the next chapter of Batman’s adventures. Batman: Arkham Knight for PC, PS4 and XONE is the fourth part of the action series about the Dark Knight. After weaker review of part three entitled Batman: Arkham Origins, the publisher decided to entrust the work to the Rocksteady studio again. The studio is responsible for the success of the first and second part of the game: Batman: Arkham Asylum (2009) and Batman: Arkham City (2011). The action of Batman: Arkham Knight like in Hitchcock starts with an earthquake. Scarecrow, an old enemy of Batman, has placed a bomb with fear toxin in Gotham City. The confusion as a result of the evacuation of the city's inhabitants has been used by the most dangerous enemies of Batman. They dominated the deserted Gotham City, pushed on the defensive police with the head of Gordon commissioner and united to finally defeat the Batman. Among the villains were Penguin, Harvey Two-Face Dent and Harley Quinn. In addition, there appear one, new enemy of the Batman - the title Knight of Arkham. 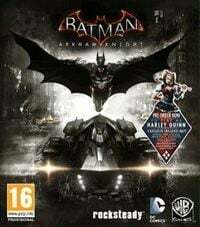 Batman: Arkham Knight for PC, PS4 and XONE is an action game using third person perspective (TPP) and a mechanic is similar to the previous parts. However, there have been introduced a lot of small changes - for example, you can knock out a few enemies at the same time. There was returned the modified attacks system. This time the Dark Knight must fight more carefully, because he can be caught not only by stronger opponents, but also by less significant hurdles. The innovation in this part is the introduction of Batman vehicle, well-known from comic books and movies. The Dark Knight can use the Batmobile to move quickly from place to place, firing rockets, stun opponents and catapult himself and immediately switch to glide in the air what is well-known from previous parts. It is also worth mentioning that in Arkham Knight, the game moves to the central area of Gotham City which has been divided into three separate areas. The entire map is also five times greater than it was presented in Arkham City. The fourth part of the Batman adventures is based on the Unreal Engine technology. The graphic design was improved in comparison to the previous parts. There were improved: character models and the Batman’s cape received a new, advanced physics. There were abandoned prerendering of cut scenes, which are presented directly on the game engine. This unofficial game guide for Batman: Arkham Knight contains a detailed walkthrough for all the missions in the game (story missions and side quest, e.g. rescuing hostages or eliminating villains). Batman Villains: Who Will Fill in for the Joker? Some of the series’ veterans are confirmed to appear, alongside new characters like the titular Knight of Arkham. However, a great part of the villain roster is still shrouded in mystery.